Misery, moaning and frowns are officially banned at Glass Etc. 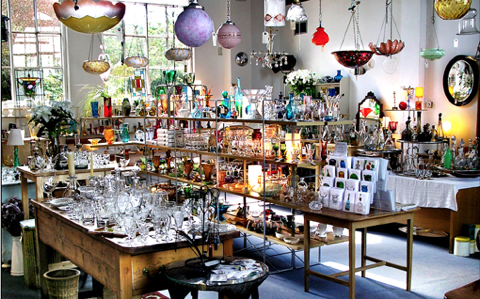 Our policy is to avoid the pompous ‘do-not-touch’ atmosphere of old Fogey antique shops. Chairs are provided to take the weight off your feet, tea or coffee are offered when things are quiet, and the music is tuned just loud enough to allow discreet conversations. You will be encouraged to peruse in your own time, and we will not attempt to bamboozle you into purchases. However, if you need help or background information, we’ll be pleased to do our best to help you.